Arriving a year following TYCO’s introduction of its 54-foot American Car & Foundry-prototype CenterFlow hopper car model is a covered hopper car model release. 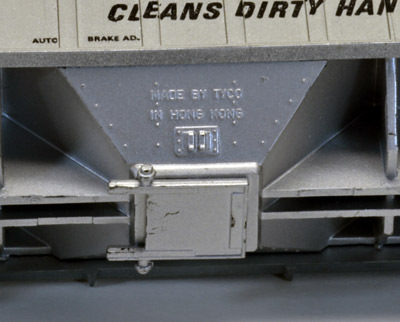 TYCO’s covered hopper carries the model series number 359 and first appears in the 1973-74 catalog. A collection of six paint schemes was displayed and the 1973 retail was $3.50. Of the six illustrated, Arm & Hammer and Tide examples are not known to have been produced for regular release. 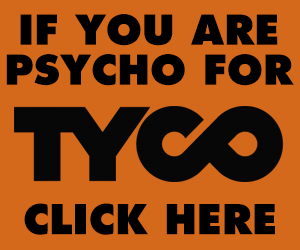 The model remained a standard offering for TYCO for many years, available in many “billboard” schemes. For its 1974 appearance, Ajax and Jello-O examples replaced Arm & Hammer and Tide cars. The model had a $2.50 retail in 1974’s catalog. TYCO’s Budweiser and C&H Sugar cars were gone by 1975. The final appearance in TYCO’s annual product catalogs for this model was 1981. The Boraxo and Planters examples survived longest in TYCO’s catalog with the two being the only illustrated covered hopper offerings presented from the late 1970s through 1981. 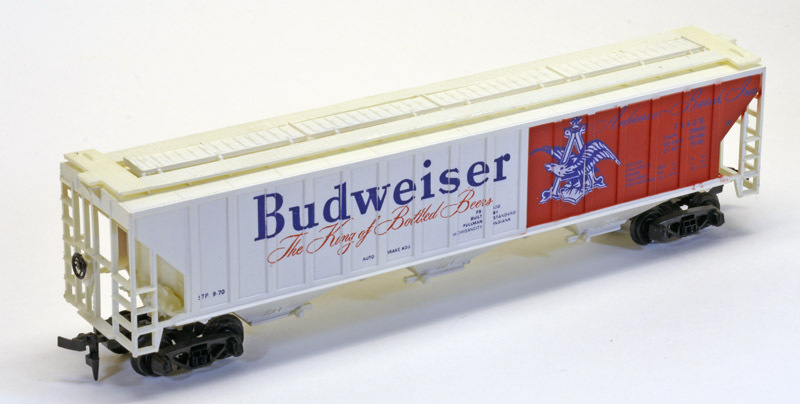 IHC Hobby issued this same covered hopper tooling in its own line of products around 2000. That release marked the most recent appearance for this 1973-introduced tooling. The prototype for TYCO’s model is Pullman-Standard’s 4,740 cubic foot covered hopper. 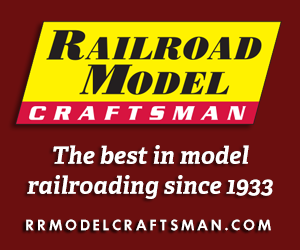 Athearn’s model was introduced in 1971 and appears to have provided inspiration for TYCO’s example and represented the same Pullman-Standard prototype.